It won't just be the ugly Christmas sweater your aunt is giving you. 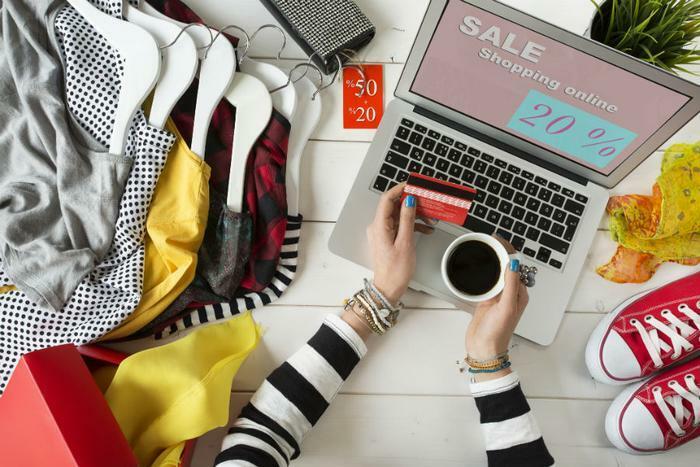 A new report predicts half the clothing purchased online this holiday season will be returned for one reason or another. Adobe Analytics reports online holiday sales have already reached $14.12 billion, a 20 percent gain from last year. Of that, clothing sales totaled $2.78 billion. If these numbers hold up, there will be a lot of clothing going back to the stores that sold it. An independent study says poor fit is the most common reason clothing purchased online gets returned. Despite advancements, experts say the clothing industry has come up short in finding a way for consumers to order clothing that fits perfectly. The research by BodyBlock AI surveyed 1,200 consumers and found that 91 percent of those who ordered clothing online were not satisfied with the fit. While consumers know their general size, they often encounter differences in fit, depending on the style and the manufacturer. There are ways around this, of course. The survey found 72 percent of consumers rely on fit predictors and size charts. Still, more than a third of people who order clothing online often buy more than one size of the same item just to be sure. The problem seems to affect men as well as women. Jeans and pants are the most frequently returned items by both men and women, but men are twice as likely to return T-shirts. Women often feel clothing sizes can be random, especially when comparing clothes from brand to brand. Of those surveyed, 84 percent said they felt that sizing was random or arbitrary depending on the brand. You can also exchange items, including clothing, to receive a different item or the same but in a different size or color. You can start the process here. Walmart will accept returns, including clothing, within 90 days after purchase. There are exceptions, but they do not apply to apparel. Walmart also does not require a receipt for most clothing returns. You can get more information here. Most unopened items sold by Target in new condition and returned within 90 days will receive a refund or exchange. Some items sold by Target have a modified return policy noted on the receipt, packing slip, Target policy board (refund exceptions), Target.com, or in the item department. Items that are opened, damaged, or do not have a receipt may be denied a refund or exchange. Get more information on Target's refund policy here. Macy's has different return policies for different types of merchandise. Dresses may be returned within 60 days of purchase at any Macy's store or by mail. During the holidays, Juniors and Social dresses purchased between November 1, 2018 and December 31, 2018 will have an extended return time frame ending January 31, 2019. Merchandise must be returned with the original tags, with proof of purchase attached, and in saleable condition. Mismatched garment sets cannot be accepted for return. Get more information here.